Don't miss this rare opportunity to own 5 acres in this up and coming Land Preservation Subdivision (LPS), Hidden Springs Ranch. The gated community is just minutes to downtown Hayden and a short drive to the Yampa Valley Regional Airport. The lot offers sweeping views of the Yampa River Valley and plenty of open space for owners' enjoyment. The land has a gentle slope to flat building site with underground utilities such as gas, electric, cable and phone. 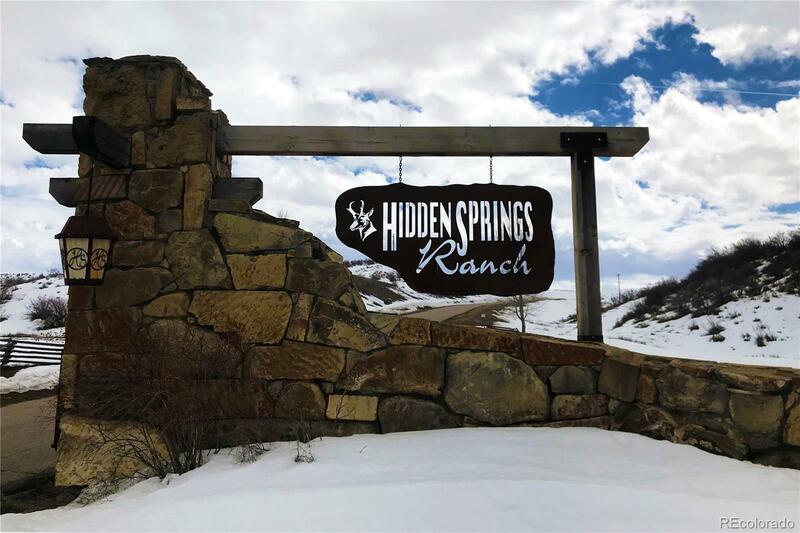 Hidden Springs offers 190+ acres of open space that is accessible via non-motorized trails perfect for walks with the dog or an after work mtn bike ride right outside your door. Come see some of the new houses being built in this neighborhood. House plans have already been drawn up for this lot and are included to give you a head start to build your dream home.